As I anxiously await the copy edits for Call the Shots I find myself with a bit of time on my hands. Not a ton, mind you. I am still trying to catch up on all the chores I’ve put off trying to finish the book: lightbulb changes, office straightening, packing up Christmas, wash, giving blood, organizing my 2012 schedule, among other things. And of course, there are books to read, movies to see, exercise to do, etc. etc. But I thought I’d take a little time to tend to my blog here. I started out last year great guns. Writing every couple of weeks. But as my new novel took over my life toward the end of 2011 I had to make that my priority. Even my incessant tweeting suffered. A quick bit of catch up and then I’ll post a few pictures. The holidays were nice. Pretty peaceful over here. Which is always a blessing. I got a new phone and the latest Stephen King novel (which I am fully immersed in at the moment). The King book will take me a while to read as it’s over 800 pages long. Some people I know can rip through books in a couple of days but I am just a painfully slow reader and so this one will take me a few weeks if not a month. Which is fine, because that way I get to savour it more. 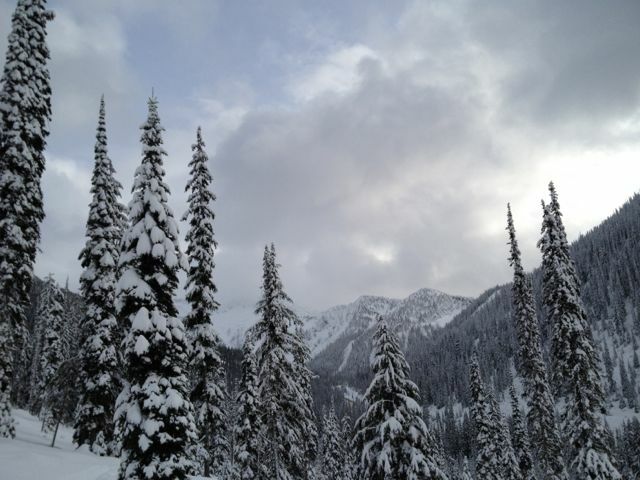 Over New Year’s my wife and I went to a snow shoeing boot camp (see pics below). We were both starting to pack on some weight and so I wanted to find a place where we could go to try to stop the bleeding. 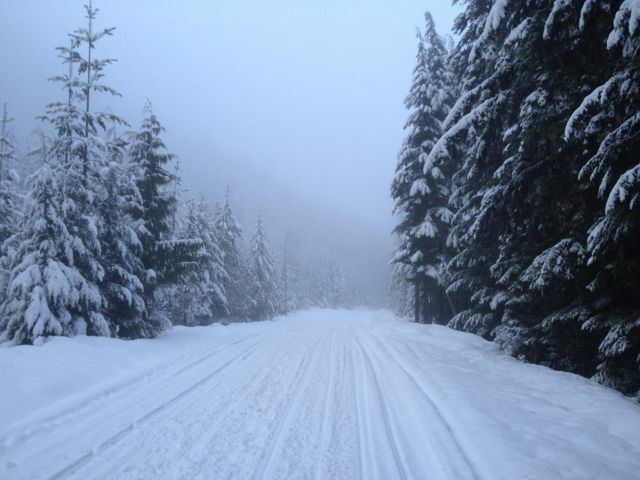 I just sort of threw out the idea that maybe we could go to a weight loss spa at some point or something and then my ever-efficient wife finds this place called Mountain Trek in Ainsworth, BC where they run a turkey burner boot camp and whip the crap out of you by making you snow shoe up mountains for four hours a day, then make you hit the gym for another hour after dinner. All the while they are cooking you tasty (but low calorie) foods. 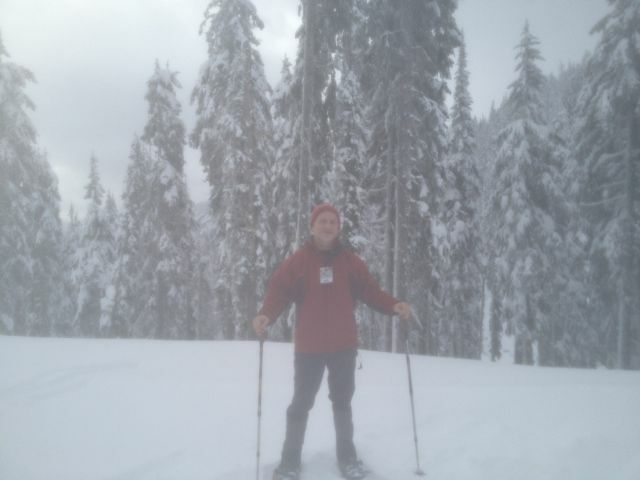 It was quite the experience but well worth it as I lost 11 pounds of fat and lowered my blood pressure by quite a bit. 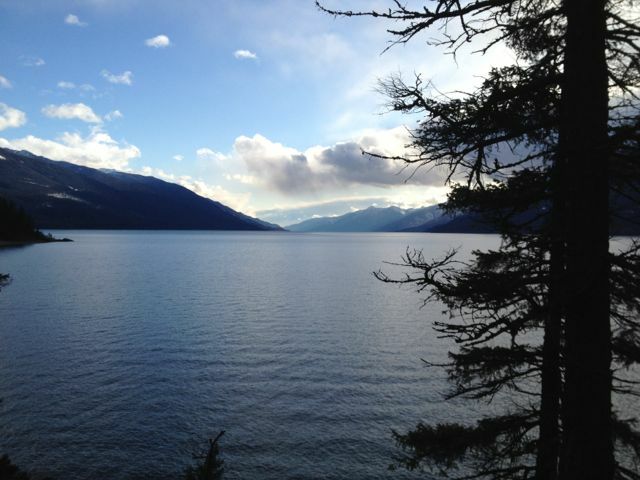 Mountain Trek also runs hiking boot camps during the spring, summer, and fall. I highly recommend them if you want to shed a bit of extra poundage. It is definitely not easy but well worth it. Going to be starting up a new blog tour for the release of BEAT THE BAND in the UK. I’ll link to my blogs here so you won’t have to miss a thing. That starts up in February. CALL THE SHOTS is scheduled to be released this fall, which I’m extremely excited about. I’ve got a really fun new idea that’s been percolating for a little while. I’ll probably start that some time soon. 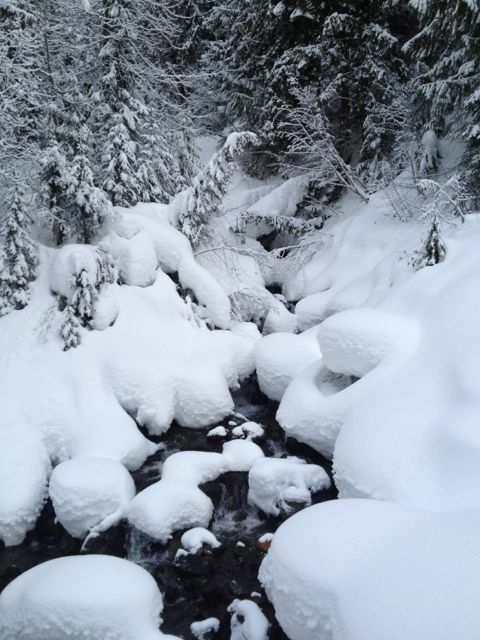 And now, as promised, a few snow shoeing photos and a surprise appearance of BEAT THE BAND in the most unlikely of places. 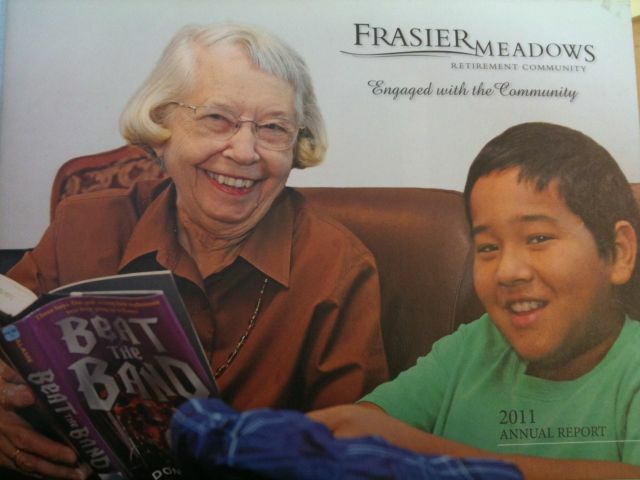 That’s right, it’s the cover of the 2011 Annual Report for Frasier Meadows Retirement Community in Boulder, Colorado. Proving once and for all that my books are great fun for anyone from 12 to 112.